This Cheap Table Skirt for Sale Matches our Coordinating Products! 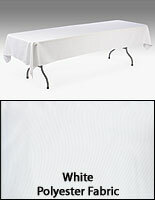 This Tablecloth Ships Fast! 8-foot-long throw will drape perfectly over a 6-foot table. 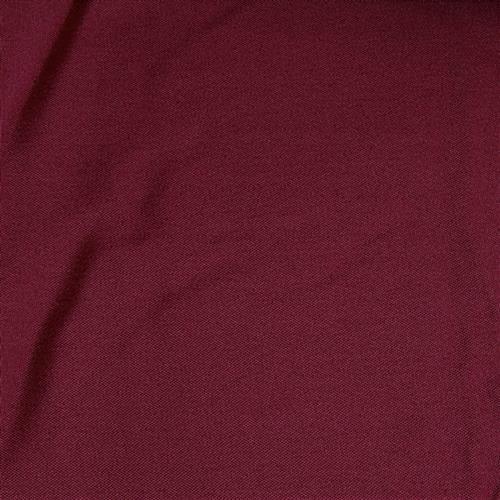 Burgundy fabric will match perfectly with our box pleat table skirting. 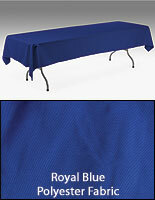 Polyester fabric is durable & attractive, yet priced to fit any budget. 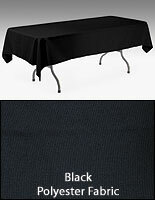 This tablecloth made for use with a table skirt for presentation at a banquet, is fabricated of 100% polyester for a machine washable, wrinkle-resistant display tool. The table covers, banquet throws hide the imperfections of a table top while at the same time creating an attractive presentation. This banquet tablecloth is the perfect choice for use at a business conference, trade show event, banquet or convention to upgrade a display's overall appearance. The tablecloth, table skirt add-on, creates a structured and professional look, when used with our pleated table skirt. 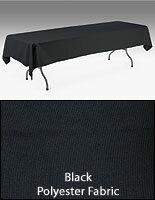 This tablecloth for banquets, also known as a trade show table skirt product, is an easy to use table throw that ensures a professional, put-together look at any display table. 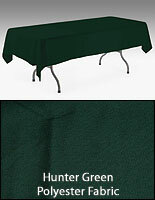 A tablecloth for banquets and trade shows is necessary for the overall presentation of a table display. The tabletop cover, banquet tablecloth, when used with coordinating table skirt (sold separately), creates a refined look. This banquet tablecloth, also called a table skirt accessory, is 54"wide by x 96" long and fits nicely atop a 6-foot-long table. 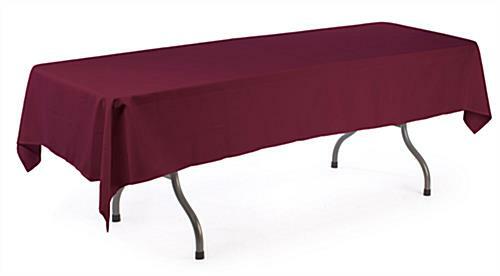 Our company sells this beautiful burgundy colored tablecloth both by the piece and in bulk! 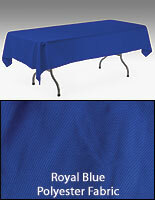 Buy a matching tablecloth and table skirt set today!